Would you like to alternate working in sitting position with a standing position? 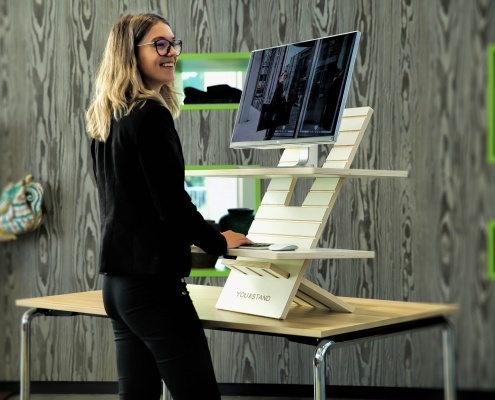 Now you can turn your sitting desk into a standing desk with the YOU-STAND® or you can work on a YOU-STAND® standing desk. You’ll create a healthier workplace in an instant without having to buy an expensive adjustable desk. 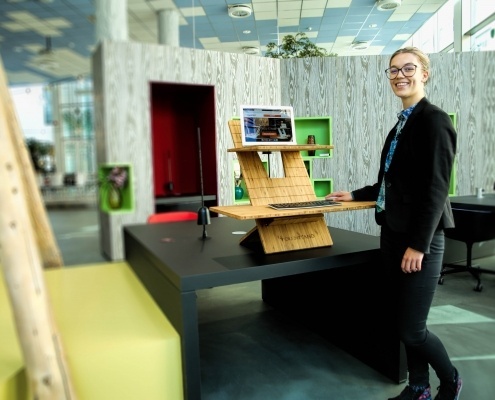 YOU-STAND® is the solution for standing work: simple, effective, practical and affordable! Many people spend the majority of their day just sitting at their desks. However, sitting too often and for too long is rather unhealthy. If you are sitting more than four consecutive hours you might not only suffer from physical issues, but from mental consequences as well. To prevent that from happening you can alternate between a sitting desk or a standing desk. With the YOU-STAND®, you will turn your own desk into a sitting or a standing desk in an instant or you’ll create an extra desk. Working in a standing position is great fun and good for your health! Working in a standing position might not make you move, but it does make sure your quads are constantly working. Not only will you feel physically stronger, it will also enhance your mental capacities. 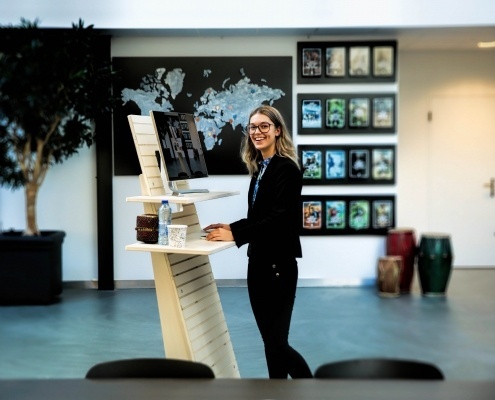 It might seem tiring to stand upright for a while, but the opposite is true: it will give you more energy, better concentration, higher productivity and you’ll become more creative as well. Put your quads to work on a daily basis. You’ll get used to it quickly and it will benefit you greatly! Try and experience that a sitting-standing desk is also perfect for you! Do you also like to alternate between working in a standing and sitting position? Order your own You-Stand and see how you like it. Go to our webshop and order now. You will have your own YOU-STAND® shipped to you within days.